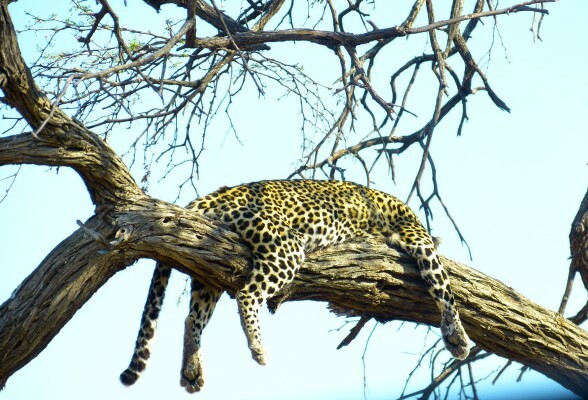 Guests at Ghoha Hills Savuti Lodge have recently been experiencing some amazing sightings! The dry season is upon us and from our unique position upon the ledges of the Ghoha Hills, our guests have been spoilt for choice. 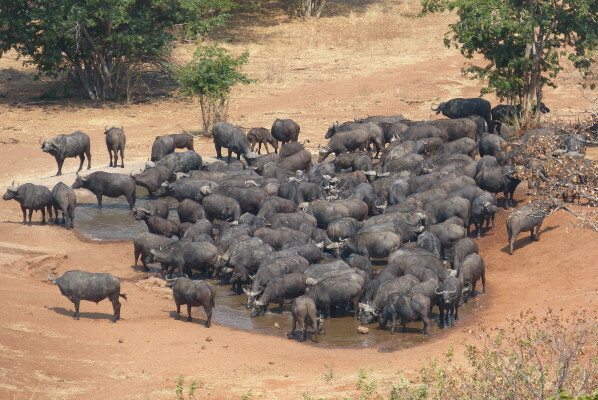 Overlooking an active waterhole right in front of the lodge, afternoons have been wiled away enjoying the comforts of the lounge while the big herd of buffalo quenches their thirst below. A little later the fiery sunsets take centre court with some great photo opportunities for brilliant sunsets. 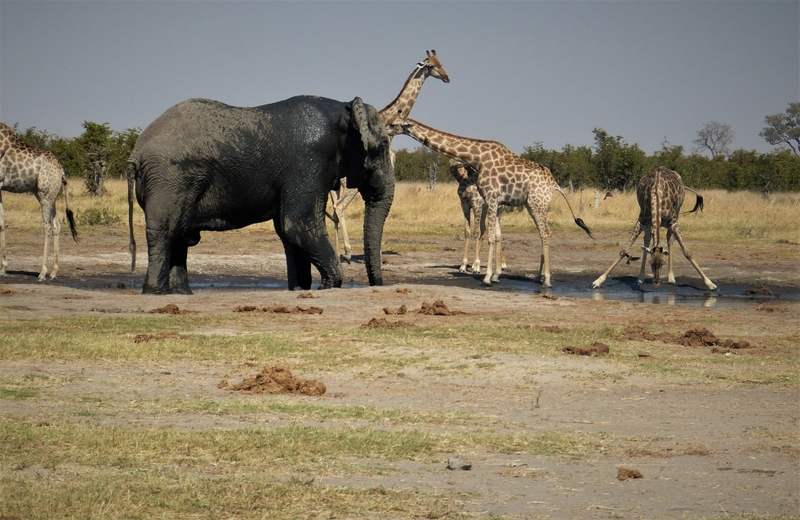 Our day excursions into the Savuti Marsh have topped the bucket lists on animal sightings. 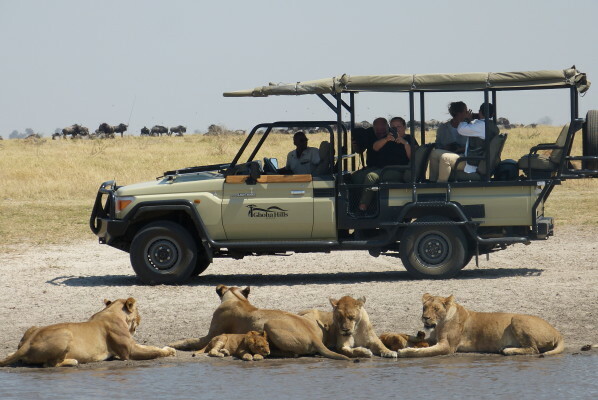 The Savuti pride has got cubs and we managed to catch up with them at rest time around the water’s edge. 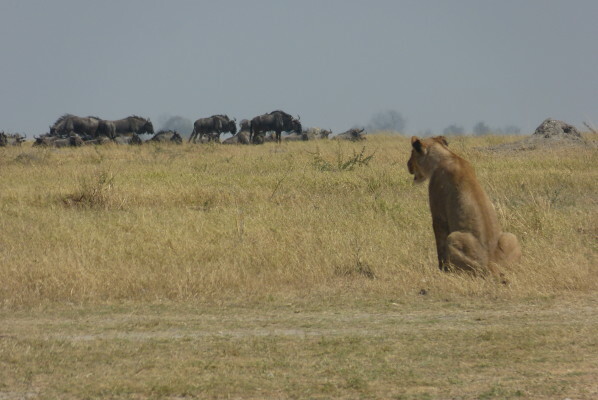 And on the other side of the vehicle, we had a lioness surreptitiously keeping an eye on dinner – the wildebeest herd grazing on the ridge. Whilst out on the Savuti Marsh excursions, the first stop and stretching point will be the Cathedral of Baobabs with some outstanding photographic opportunities, we also stop at the Gobabis Rock Art thought to be between 3000 to 4000 years old. In passing, we have managed to snap the lazy leopard hanging in the tree, as well as giraffes and elephant sharing discussions around a waterhole. 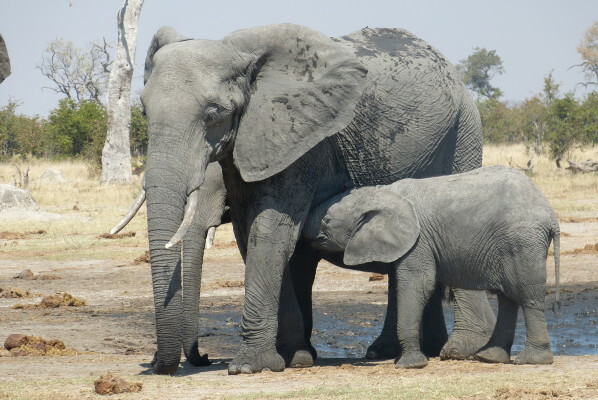 The young elephants have been enjoying playing in the mud and have kept everybody entertained with their antics. They never venture far from their mom as they need to refuel their energy levels. This has been a rewarding time for guests staying at Ghoha Hills Savuti Lodge. We look forward to sharing our beautiful Lodge and Botswana with you.